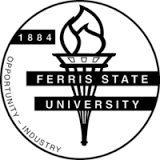 My goal is to earn an Associate’s degree from Ferris State University in Criminal Justice. I don’t want to work a dead end job that I don’t get excited about doing. I want to have a job that I look forward to doing for the rest of my life. It is important for me to graduate from college because I want to be the first out of my family to earn a degree. I plan on working while I am in college so, I can make extra money for my living costs. My plan is to study hard, learning as much as I can. My mom has been there for me in every way throughout school. She has pushed me to understand how I learn and why I first struggled. She always helps me make important decisions with my best interest in mind. Even if I will be moving a few hours away, knowing my mom will be a phone call away when I need her support, will help me get though anything.